Rotherham Council bosses are hoping that the restructuring of one of its main housing contractors will lead to more jobs being created in the borough, despite around 20 staff currently at risk of redundancy. 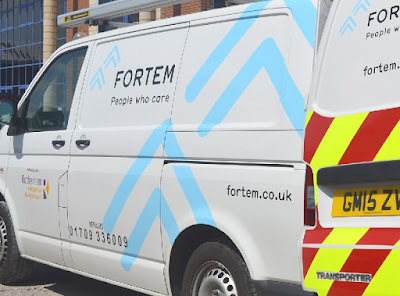 In 2016 Willmott Dixon's property repairs and maintenance specialist Willmott Dixon Partnerships announced that it was changing its name to Fortem. From a base at Templeborough, Fortem works with Rotherham Council to deliver a repairs and maintenance service to 10,500 homes in the areas of Wentworth South, Wentworth Valley, Rother Valley West and Rother Valley South. In 2010 the company secured the five and a half year contract worth £58m with possible extensions up to 2020. Fortem recently announced that it was preparing to make around 20 of its Rotherham staff redundant. The redundancies are principally in administration and managerial roles and some of the work is to be transferred from Rotherham to the organisation's head office in Hitchin, Hertfordshire. At the same time, discussions are ongoing around Fortem creating a new academy and bringing additional jobs to the borough. The Improving Places Select Commission at Rotherham Council recently discussed the work of Fortem, along with fellow contractor, Mears. Mark Nearney, housing contract services and development manager at Rotherham Council, updated the meeting on the announcement. Nearney said: "Overall, in the package, there will be job creation from Fortem with the "Learning Academy for Life." The net figure is that there will be more jobs in Rotherham. Yes, it'll be different types but it'll be healthy, full time employment, but some of the admin work will move down to Hitchin. We'll be keen to make sure that that doesn't affect service delivery." Cllr. Dominic Beck, Cabinet Member for Housing at Rotherham Council, added: "We've paid a lot of attention to this. It is a large contractor of ours and we need to be managing them and what they propose to do with their redundancies. "I've spoken to people at Fortem and there will be some really positive news around the academy that they will be establishing with Rotherham College down in Dinnington, which will create 13 brand new jobs and a further 20 jobs in Rotherham at what they are calling their Northern Support Hub to support other contracts that they have got in the North. "They are obviously undergoing some restructuring nationally as an organisation and we do have a relationship with them that is challenging. We know what happens when a contract isn't managed well but we have challenging, professional relationships with Mears and Fortem where we can have these sorts of discussions. "Our thoughts are with those in danger of losing their jobs but hopefully there will be some positive news as well and there is a possibility of some of those people being redeployed." The local branch of the Unite union said that it was preparing for industrial action having approached Fortem over the redundancies only to be told that the union had been derecognised.